Earlier this month, Tu You You was awarded the Nobel Prize in Physiology or Medicine for her discovery of artemisinin, which is used to treat malaria and has saved millions of lives. Tu is the first Chinese Nobel laureate in physiology or medicine and the first citizen of the Peoples’ Republic of China to receive the Nobel Prize in natural sciences. 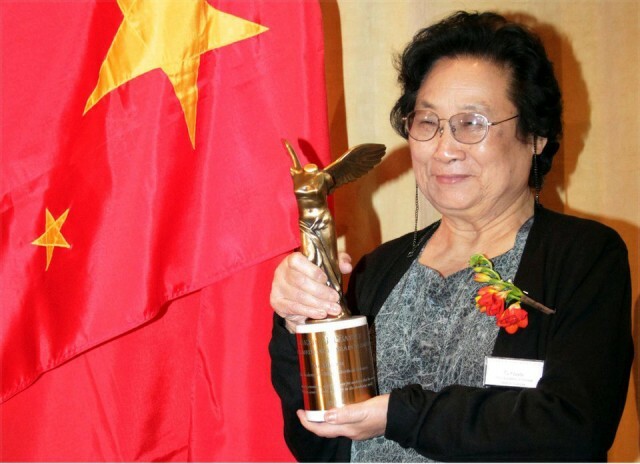 She was born, educated and carried out her research exclusively in China. But it took over 40 years for Tu and her team to be recognized for their achievements. In 1967, the Socialist Republic of Vietnam, along with its ally, the National Liberation Front in South Vietnam, were under extreme pressure from bombing and invasion by the United States, which had escalated the war to its highest point. The leader of socialist Vietnam, Ho Chi Minh, turned to China for help. As an act of socialist solidarity, as well as to fight malaria in the southern provinces of China, Mao Zedong agreed to establish a special unit: “Project 523,” named after its starting date on May 23, 1967. Scientists worldwide had screened over 240,000 compounds without success. In 1969, Tu, then 39 years old, was asked to lead the Chinese team. Tu You You was born in 1930 in Ningbo, a port city about 140 miles south of Shanghai. In 1951, she graduated from the Peking University School of Medicine and moved to the Academy of Traditional Chinese Medicine. To conduct their research, she and her team went to the island of Hainan, off the Chinese southern coast, where malaria was prevalent. Tu and her team decided to draw on her extensive knowledge of traditional Chinese medicine. In an ancient text, they discovered an herbal remedy used to treat malaria: sweet wormwood (“Artemisia annua,” or in Chinese, “qinghao”). Using modern techniques, Tu discovered a way to extract the active compound and create artemisinin. Having tested artemisinin only on animals, the matter of safety remained. “We worried whether the drug was safe. Two colleagues and I took it to show that it wasn’t lethal. I thought it was my responsibility as a medical chemist and all part of the job,” she told the New York Times. Given such profound benefits, why did it take the Nobel prize committee 46 years to present their award to Tu and her team? One answer, of course, is the unremitting hostility of world imperialism towards China. 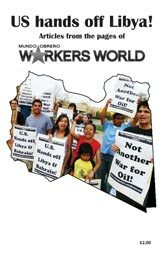 Increasingly, China is seen as the main obstacle to U.S. imperialism’s drive towards world hegemony. But there is more. The World Health Organization estimates that more than 1 billion people — one-sixth of the world’s population — suffer from one or more neglected diseases. A shorter and more accurate explanation would be that big business is unable to make a profit from the treatment of these diseases. Discoveries like those made by Tu You You — drawn from traditional medicine with no patents, inexpensively made and extremely effective — are a dagger pointed at the heart of the capitalist pharmaceutical companies. Her example proves that cooperative socialist research can produce medicines and therapies based on human needs, at low cost, without the need for expensive patents, investment banks, hedge funds and stock offerings.